The Rail Delivery Group (RDG) has admitted that its plan for a 'root and branch reform’ of rail fares regulation has been delayed, after a record number of responses. Last spring the RDG, which represents train operating companies (TOCs) and Network Rail, said it was launching a nationwide public consultation with watchdog Transport Focus ‘to establish a road-map for change to update fares regulation and make things easier for customers’. 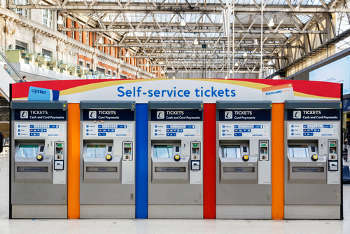 It said an easier-to-use range of fares was key to delivering the industry’s long-term plan for change and improvement and would maximise the benefits to customers, businesses and the economy of improvements in ticket-buying technology. The RDG said the consultation would help the industry to establish a road map, which delivers against these principles. The consultation ran from June to September last year, with the report due in ‘late autumn’. However, the roadmap, which Jane Gratton, of the British Chambers of Commerce described at the time as ‘long-overdue’, has still not been published. Robert Nisbet, regional director at the RDG, said: ‘Last summer, a record number of people and organisations - almost 20,000 - responded to the largest ever consultation on reforming rail fares to build an easier-to-use system for everyone.